One of the most broadly popular ideas about urban planning today is that decisions should be made locally. After all, who knows better what a neighborhood needs than the people who live there? And what better way to squash any would-be Robert Moses than by empowering the people whose homes he would claim for some new megaproject? The move to greater local democracy since the disastrously inhumane urban renewal period of the 20th century was undoubtedly necessary. But it has also created new problems that some officials, activists, and residents have been slow to acknowledge. 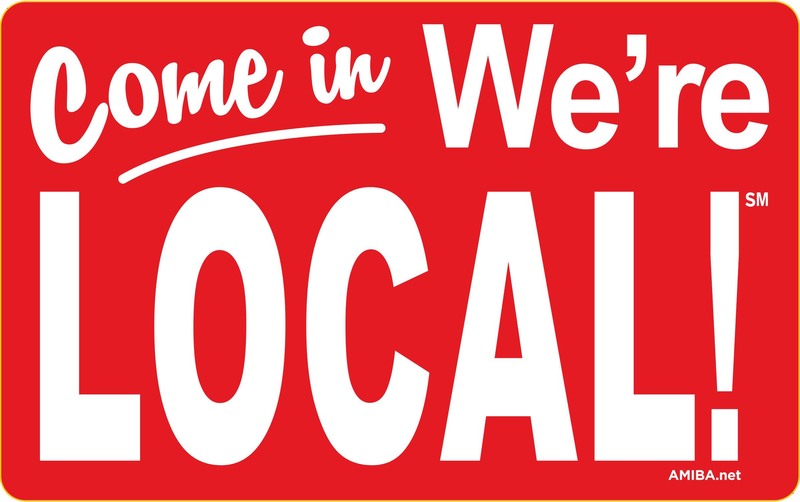 To begin with, it’s worth noting that “local” is a concept without a solid definition. When people object to policies coming out of Washington, DC, they often say that power needs to be brought back to the states. When they disagree with state policy, they’ll often discover a strong attachment to their region—say, downstate Illinois rather than Chicago. When they dislike something happening in their region, they reinforce the importance of their own particular municipality. And when their city government makes a decision they don’t like, they’ll appeal to the power of their neighborhood—which itself may expand or shrink its boundaries based on the issue. In other words, there’s no given geographic level at which people magically all agree with each other about what the “right” thing is. Instead, “local” politics tends to be about strategically choosing an arena in which there’s a strong enough coalition in favor of whatever policy you want. Which, to be clear, is a totally legitimate way to go about democracy. But while the popular image of local power might be a diverse and representative group of families planning a new school or beating back an invasive and unwanted project from City Hall, localism also has a darker side. Much of the move to local planning since World War Two has taken the form of suburban municipalities created largely as a way to segregate their residents from “undesirable” people—generally blacks and the low-income. In fact, places with more fragmented governments (that is, places that are governed more “locally”) also tend to be more segregated. Partly as a consequence, they also have worse outcomes for people at the losing end of that segregation—so that, for example, health disparities between whites and blacks are significantly worse in metropolitan areas with more local governments per capita. One of the greatest victories of this kind of exclusionary localism came in 1974, when a federal judge ruled that white parents who had moved beyond the Detroit city limits were exempt from any mandatory school desegregation programs, because to bus children across school district lines would be an affront to local control of education. But anyone who listened to the white parents in Nikole Hannah-Jones’ This American Life documentary excoriate their suburban St. Louis government for allowing non-local—and, of course, black—students to attend “their” schools just two years ago knows that this justification for local control is alive and well. But localism doesn’t just give outlet to some of America’s less savory impulses. It can also pit municipalities or neighborhoods against each other, encouraging people who might be okay with, say, a moderate amount of affordable housing to advocate for having none at all. Imagine two middle-class neighborhoods, A and B. Each can choose a bundle of policies that are either “inclusionary” (allowing multi-family and subsidized housing, providing services attractive to the low-income, and so on) or “exclusionary” (allowing only large, expensive single family homes, eliminating social services, and so on). The residents of both places would like to be inclusive, as long as their neighborhood will remain predominantly middle class. If both neighborhoods choose “inclusionary” policies, they’ll each become mixed-income, but mostly middle-class, communities. But if only one chooses “inclusionary” policies and the other chooses “exclusionary,” the “inclusionary” community will become disproportionately low-income, because it’s the only attractive, welcoming place for people who need affordable housing and social services. In this situation, residents of both neighborhoods will be extremely wary of being the first to choose “inclusionary” policies, because unless the other neighborhood also chooses “inclusionary” policies very soon afterwards, their community will become disproportionately low-income. Any doubt about the other neighborhood’s commitment to choosing “inclusionary” policies—doubt that is more than justified, given the current state of American urban policy—will push them to choose “exclusionary” ones for their own community. The fundamental problem here is that local communities don’t have the power to get other communities to commit to doing the “right thing”: only higher levels of government can do that. Importantly, though, creating this commitment doesn’t have to be any less democratic than smaller-scale decision-making: elected officials in a city hall or state capitol can work with their constituents to craft a policy that ensures all communities reflect the best values of their residents. This might look like a statewide law that requires every municipality to have a certain percentage of its housing designated as “affordable,” or a citywide plan that allows people from different neighborhoods to commit together to certain distributions of accessible housing and social services. Or, taking an international view, it might look like a state- or provincial-level government setting limits on the kind of zoning that municipalities can choose, restricting their ability to outlaw working-class and low-income housing types. Unfortunately, there are precious few examples of higher units of government imposing rules that break this prisoner’s dilemma for cities. Massachusetts’ “anti-snob zoning” law, which allows affordable housing developers to ignore local exclusionary zoning in places where more than 90 percent of existing housing is considered unaffordable, is one. Another is in Oregon, where communities are required to zone land for a range of housing types, including apartments. Research suggests that these kinds of laws can significantly improve the housing affordability landscape. Given the growing economic divides between our communities, we would do well to give them a second look.